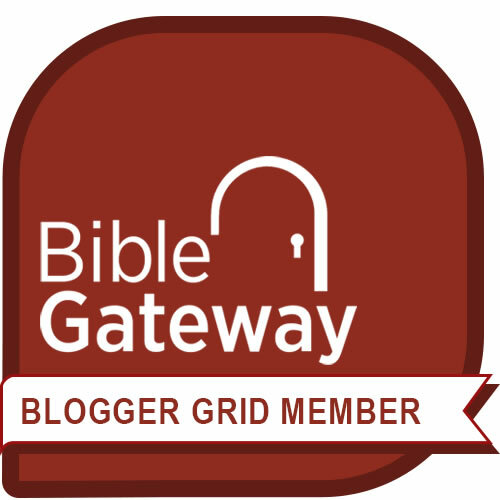 Identity Content: Who Are You? Identity content explains who you are and what you do. Here are tips for writing better content that explains who you are and what you do. 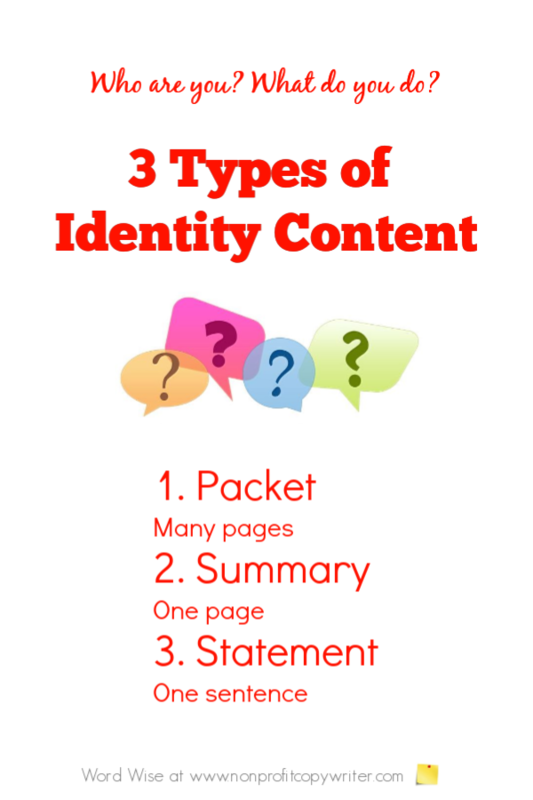 Sometimes you need identity content you can use to explain yourself in ten seconds or less. Sometimes you need a quick summary. Sometimes you need a more thorough explanation. Tip: create all three pieces of identity content at once when you start with the biggest and work backwards! After you have the “big picture” packet in place, edit it mercilessly to produce a summary. At that point, you likely won’t need to even write an identity statement because it is already part of both your packet and your summary. Your statement won’t change from year to year unless you change the focus of your work. And your statement is always short and easy to remember. Read on for more writing tips for each piece of identity content. Your identity packet can include images and charts. It can be formatted in print, online, or as a PowerPoint to accommodate different types of presentations. Update your identity packet every 12-24 months. Your identity summary provides a leave-behind to give prospects or an online annual update. You can pull vignettes from your identity summary as short social media posts, too. Update your identity summary each year. Call it your elevator speech, your mission statement, your summary sentence, or even your tagline … there are times when you need to be able to explain quickly who you are and what you do. Here is where you use the phrase or sentence that everyone in your organization can rattle off without stumbling over their words. Ten words or less should do it. Unlike your identity summary and your identity packet, your identity statement does not change much from year to year.